Mike was the sales manager in Wausau, Wisconsin I hired shortly after I arrived to build a 100,000 watt FM station in 1984. 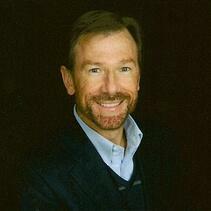 Mike is now General Manager WCLO/WJVL and VP Bliss Communications Radio Division, in Janesville, Wisconsin. When Mike would say this he was either deeply serious, or laughing. Today, many business are in danger of this statement being deadly serious. It’s no laughing matter. If you’ve been following these blogs you’ll recognize a pattern emerging. It’s urges you and your business to realize the future belongs to those businesses that take disruptive measures to ensure their future. This blog we look at Move Early to the Next Battleground, and how powerful disruption is in your businesses future. One of the sources I follow to stay on top of trends is Singularity University. If you’re interested in learning the latest trends I’d strongly recommend it. Last week they shared an short ebook, The Exponential Leaders Guide to Disruption. In action is caused by fear of failure. As Singularity University e-book points out, the certainty of exponential technologies disrupting business, drives innovation. Business as usual, is no longer an option! Some of the largest companies in the world have fallen prey to disruptive companies. The majority of these companies, never saw it coming. Today’s growth companies are agile, innovative, scalable companies like Netflix, Instagram, Amazon, Airbnb and Uber. If your culture is fraught with the “fear of failure” you are caught up in innovation paralysis and disruption denial. Today disruption is occurring much more rapidly than ever before. 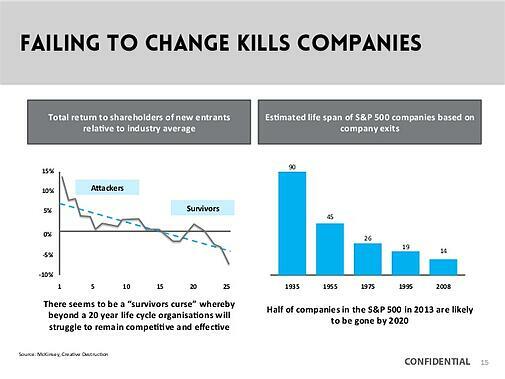 This is reflected in: S&P 500 company is being replaced every 2 weeks, over 40% of today’s Fortune 500 companies now on the S7P 500 will no longer exist within 10 years! Salim Ismail, Founding Executive Director of Singularity University, lead author of "Exponential Organizations" noted 3 years ago at our Las Vegas Growth Summit in Disruptive Innovation – The Exponential Organization, “The lifespan of S&P 500 company at one time was 67 years. It’s dropped to 15 years.” What’s more remarkable, in the 9 months Salim took to write The Exponential Organization, this number dropped to just 12 years. If you’re in business today, you better be thinking how to Move Early to the Next Battleground to disrupt yourself. As the pace of change accelerates, it is not enough to have a plan to win the current game. You must simultaneously have plans for future games and know how to turn battleground shifts into an advantage. When Rosetta Stone's chief executive officer (CEO), Tom Adams, took over in 2005 this Rosetta Stone was practically unknown. Today it is the world's leading provider of language learning solutions. When Adams took over in 2005, the company was selling language software in a crowded field. All the competitors' products were similar—books, tapes, and CDs designed to replace the classroom model, at similar price points, between $5 and $30. Rosetta Stones unit of product price at $20 was right in the middle. Adams anticipated a battleground shift, transforming Rosetta Stone from classroom to immersion. To execute properly Adams is careful who they hire, “We hire folks who are multilingual and have had the actual experience of being in another country and learning the language there. Most of them have never taught. They have practical real-world experience and they’re smart.” These are not language learning experts interested in sentence structure and conjugated verbs. Adams took a hard look at his product. Adams recognized by approximating the competitors' pricing, they are miscategorizing their offering. In order for Rosetta Stone to own their positioning as a full immersion experience, they need to sell their product at a far higher price. Breaking the higher price tier creates a challenge: few consumers feel comfortable handing over $300 at a bookstore counter without first talking to someone about the product to learn why it was worth the cost. So Rosetta Stone had to either give up its $300 pricing strategy or diverge from industry norms. It veered from industry norms dramatically! Rosetta Stone headed for the mall and airports, a move most business school professors would roll their eyes at, lined up its high-end language learning software alongside kiosks selling sunglasses and hair extensions. It appears to be a fish out of water with Rosetta Stone’s $300 software next to $20 sunglasses. It’s exactly what a smart strategist wants! A fish out of water has no other fish to compete with! The strategy worked. Rosetta Stone's well-informed salespeople could walk customers through its unique product, addressing in full detail the concerns that stand between curiosity and purchase. Potential customers experience the software and process. 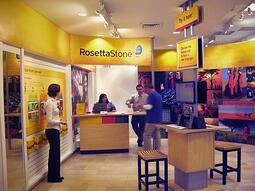 Rosetta Stone’s uncommon advantage is realized and appreciated. In Annual Planning for 2018, these Outthinker Strategies are a top priority with my Positioning Systems customers. Get a head start on your 2018 planning by attending Scaling Up Business Growth Workshop in Cedar Rapids, IA. We’ll be sharing these ideas on Disruption and Outthink the Competition, plus our Scaling Up and Strategic Discipline principles. 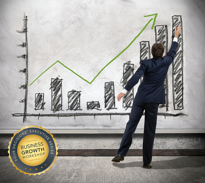 If you’re looking for innovative ways to develop your business, contact dwick@positioningsystems.com. 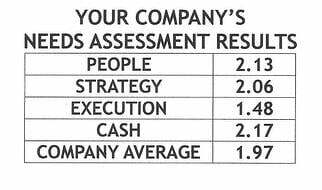 Or take our Four Decisions Needs Assessment and we’ll contact you. One of your businesses next battlegrounds is 2018. On November 1st we’ll be sharing how to prepare and plan for 2018. We’ll share, how you can attend with your team, what to expect, and provide a taste of how to Outthink Your Competition next blog.